Meter Australia distributes a range of Roll Laminators to suit both low volume users and high use print environments. All of our Roll Laminators come packed with features and many are “Australian Made”, which ensures that parts and future servicing is available. All Compact and Emseal Roll Laminators come with a 3 year warranty on all parts. 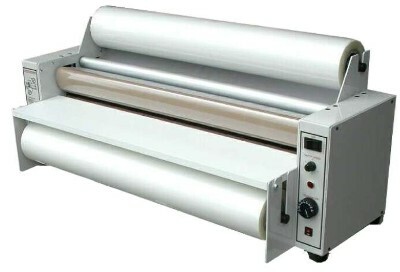 All Roll Laminators are manufactured using solid steel construction and quality components. Roll Laminating Machines come preassembled. Simply load your Laminating Film Rolls and your Roll Laminator is ready to use within minutes of unpacking. The Centaur hybrid Hot Roller Laminators combine the best features of hot shoe and hot roller technology. Ruggedly designed mechanical and electrical systems reduce time lost to maintenance and repairs.